Become a SPONSOR of this event for just $250! You just need to complete a form. 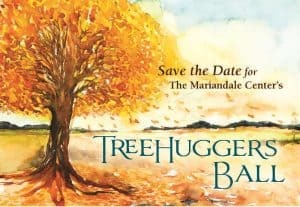 Join us on September 23, at 4:30pm for the first Mariandale TreeHuggers Ball, as we celebrate trees at Mariandale and across the world in all their strength, diversity, and beauty. This reception will take place in the Mariandale Center’s lovely courtyard with a Hudson River view, and end with an optional twilight, candle-lit Labyrinth walk. The Mariandale Center will honor Bernice McCann, a strong and dedicated volunteer who leads in land project improvement at The Mariandale Center. She has helped our land, trees, gardens, and ecosystem thrive with her own hard work. 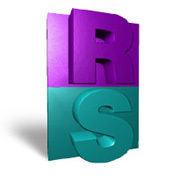 Jim Nordgren is the head of JN Land Trust Services in North Salem, NY. He helped the Dominican Sisters of Hope and Mariandale by submitting a land description and proposed management plan, and advised us on removal of invasive species. He is a true friend to the environment. The Treehuggers Ball features live music by Wind and the Why, an NYC-based indie folk band featuring Therese Anderberg and Emily Casey. 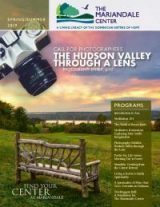 You can take in the views, light fare, and local seasonal beverages (think fall Hudson Valley! ), vie for a tree-themed gift basket and surprises, and take a candlelit twilight Labyrinth Walk. The Art Exhibit takes place in two locations at the center; the Chapel displaying “Spaces for You,” with Artist Sherry Mayo. 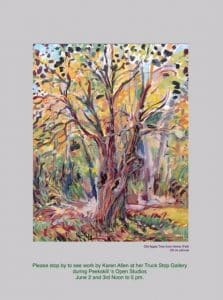 The Dining Hall will show case “Trees” by Artists Karen Allen and Lana Yu. All of the work is for sale (a portion of the proceeds will be donated to The Mariandale Center). Join Us for the TreeHuggers Ball! Please register for this event ahead of time. You can make online reservations at $40 per person on our website, or by phone with our Registrar, as of August 1, 2018. These reservations must be made before the event; they will not be sold at the door.